Introducing: Habitat for Humanity and Divine Stoneworks! ASHLAND, MA – Divine Stoneworks is proud to announce our upcoming partnership with the Habitat for Humanity ReStore in Ashland! Read on to learn more about the ReStore’s grand opening and what the public can do to help. 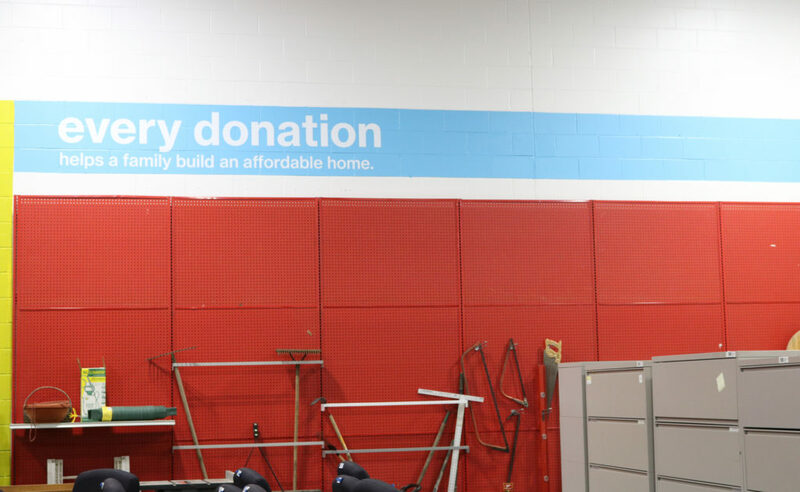 What is the Habitat for Humanity ReStore? ReStore is a store owned by Habitat for Humanity MetroWest/Greater Worcester that sells gently used furniture, construction materials, and home improvement tools to the public at discounted prices. Habitat for Humanity MetroWest/Greater Worcester’s mission is to build homes, communities, and hope. They envision “A world where everyone has a decent place to live” and work together with volunteers in order to accomplish this goal. All proceeds from the ReStore benefit local Habitat for Humanity affiliates. The Ashland ReStore is located on 310 Pond Street and is open to the public Thursday, Friday, and Saturday from 10:00AM to 5:00PM. In addition to the ReStore, they hold events such as Playhouse Build-a-thon’s and other building fundraisers. Read more about donating and volunteering on their website! Habitat for Humanity MetroWest/Greater Worcester will also be opening a Worcester location at 640 Lincoln Street in the summer. For updates on the progress and donation guidelines, follow their Facebook! Divine Stoneworks donated a Fiorito White granite countertop for the Ashland ReStore’s front counter! 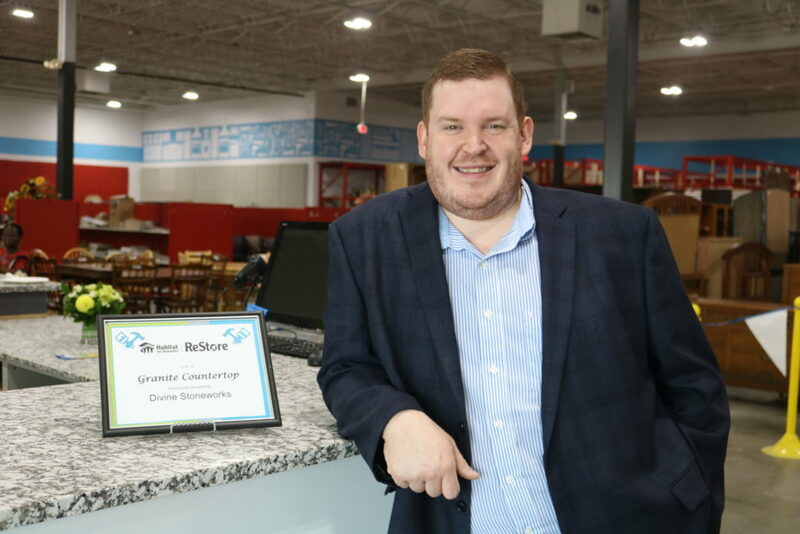 It was a pleasure seeing it put to good use at the ReStore’s Grand Opening and we look forward to supporting the ReStore for years to come. To do that, we are developing a partnership program to donate more countertops to the Habitat’s cause. Stay tuned as more details are released! The Ashland ReStore encourages everyone to shop, donate, and volunteer. Showing support is simple! Shop: The Ashland ReStore location is open to the public. Walk in to buy home furnishings at a fraction of regular retail costs! They offer everything from building supplies to furniture with a constantly-changing inventory. Visit often to check out their home goods! Donate: Both businesses and individuals can donate items to the ReStore to see them off to a new home and reduce waste. Call them at 508-439-7655 to learn what they accept. You can even donate your car! Volunteer: The ReStore is always looking for volunteers. Individuals and groups can sign up through their website. Corporate groups can also sponsor their several programs, including Operation Playhouse, Home-Build, Gift-in-Kind, and other events! Learn more here. Amazon: Shop on Amazon Smile for a portion of your purchases to support affordable housing! In the coming week, we’ll be releasing an inside-look video of the ReStore installation. Follow us so you don’t miss it! « Why Use A Contractor for Your Home Remodeling Project?